It goes without saying that an LBD [little black dress] is a versatile, timeless addition to any woman's wardrobe. 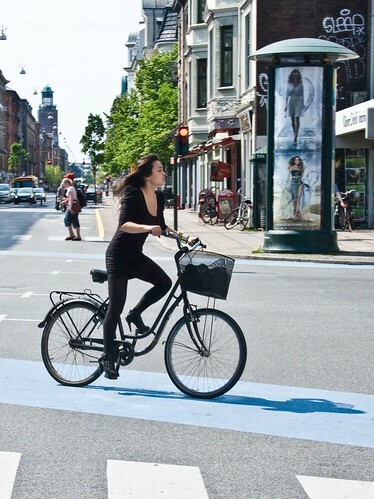 There are very few places on the planet where an LBD - combined with killer heels - looks spectacular in motion on a bicycle. i really appreciated your site, so lovely bicycle, and i added you on my site, please if you don't mind, can you add me here please. Looks like a sunny day ! Looks like she's rushing to her job at American Apparel.